Hartford CT/ April 11, 2019– LAZ Parking has successfully implemented its long-term parking management services contract with Texas Medical Center, the largest medical complex in the world. In a transition process which started in the Spring of 2018, LAZ Parking is operating all of the center’s owned and leased parking facilities, which includes 30,000 parking spaces spread over 19 garages and 20 surface lots. Texas Medical Center, located on a 2.1-square-mile campus south of downtown Houston, houses hospitals, research facilities, academic institutions, nursing programs, pharmacy schools and a dental school. “We are honored to be the chosen parking provider for Texas Medical Center and improve the parking experience of their patients, visitors and employees,” stated Alan Lazowski, Chairman and CEO of LAZ Parking. “Being the first and last contact for people visiting the center is a huge responsibility that the LAZ team takes very seriously, and we will remain committed to bringing best-in-class customer service to all who use the parking system. With decades of experience at over 50 healthcare clients nationwide, LAZ brings its unique knowledge and expertise to deliver specialized services to Texas Medical Center. Value-based thinking, process-driven programs and analytics back up LAZ’s culture of compassionate care. 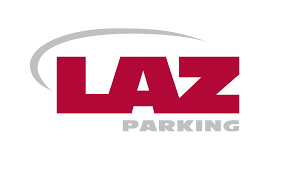 LAZ Parking is providing Texas Medical Center with streamlined, user-friendly parking using real-time data provided by their technological partner FlashParking. FlashParking’s operations team has deployed various new technological updates to the Texas Medical Center parking facilities, making it quicker and easier for employees and visitors to park. Texas Medical Center(TMC) is the largest medical city in the world. The medical center campus is comprised of more than 1,400 acres, and houses 21 hospitals, four medical schools, six nursing schools, and more than 100,000 medical professionals dedicated to advancing clinical care for over 10 million patients each year. For more information, please visit www.tmc.edu. FlashParking is a leader in parking and mobility solutions that address some of the most complex transportation problems facing urban societies. FlashParking’s rapid growth is driven by a future-ready philosophy that manifests itself in a smart ecosystem of solutions, products, and integrations that work together to improve mobility. With over 1,000 deployments on its cloud-based network, FlashParking’s powerful real-time data services provide efficient, secure transactions and business intelligence for organizations of all sizes and industry spectrums.